Okay, listen up 2017 brides-to-be. The thing is....... there is soooooo much inspiration around at the moment, which means that decision making can be really tricky and extremely daunting. How do you know that what you love NOW, is still going to be what you love 6 months down the track? What if there are some inspiring new ideas and wedding styling trends for 2017 that are just around the corner that you haven't discovered yet? And really, who has time to spend hours and hours on Pinterest and bridal blogs researching all of this stuff anyway?! Well, the good news is - it's kinda our job to be able to forecast these things, to keep our inventory fresh and relevant so that we can keep decking out weddings for years to come. So, you're welcome. We've done the research for you, and let me tell you there are some pretty damn exciting things to come for 2017 weddings! If you're planning a wedding in 2017 and need to get those creative juices flowing to start making those Big Decisions, then read on for our top 5 wedding styling trends for 2017. Wire furniture and décor is going to be a huge focus for wedding set-ups coming into 2017 and we are super excited about this look! Couples are steering away from rustic, and instead embracing more modern furniture and décor to create beautiful and sleek set ups. Consider incorporating some wire elements to your design if you want to achieve an industrial meets glamorous look. It seems like every single colour combination you could possibly think of made an appearance during 2016, but it looks like brides want to bring it back to basics in 2017 by embracing a monochromatic colour palette of black and white paired with timber and natural accents. We are really loving this simplistic and contemporary approach to colour with clean and classic settings that look straight out of the pages of a home decor magazine. GET THIS LOOK: Exposed wooden dining tables paired with black bentwood chairs look incredible. 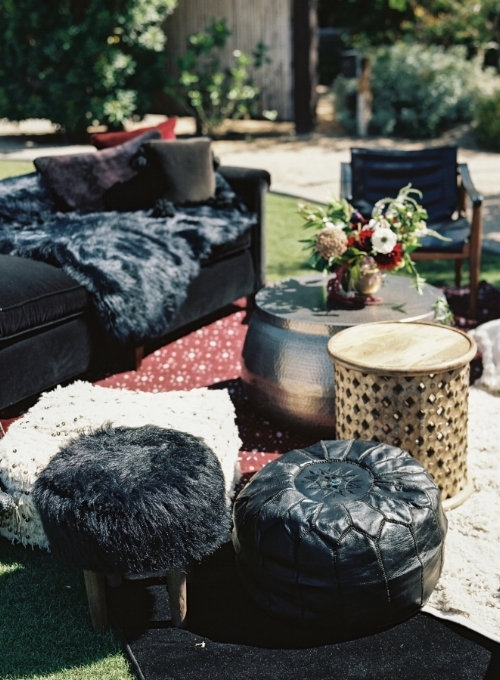 Black and white patterned cushions and textiles are perfect for decking out your lounge areas during cocktail hour. Or for a more relaxed setting we love black and white directors chairs with bamboo café tables. Okay, so gold isn’t exactly a brand new trend around here. But we'll admit we are seeing gold in a whole different light for 2017 with some creative new ways to incorporate this metallic tone into your setting. Previously we have loved using gold as a feature colour in table settings with gold cutlery, charger plates, vases and the like (we still love this too!) But next year, we are predicting this will be enhanced even further by bringing gold into bolder statement furniture pieces like dining chairs, stools, and coffee tables. 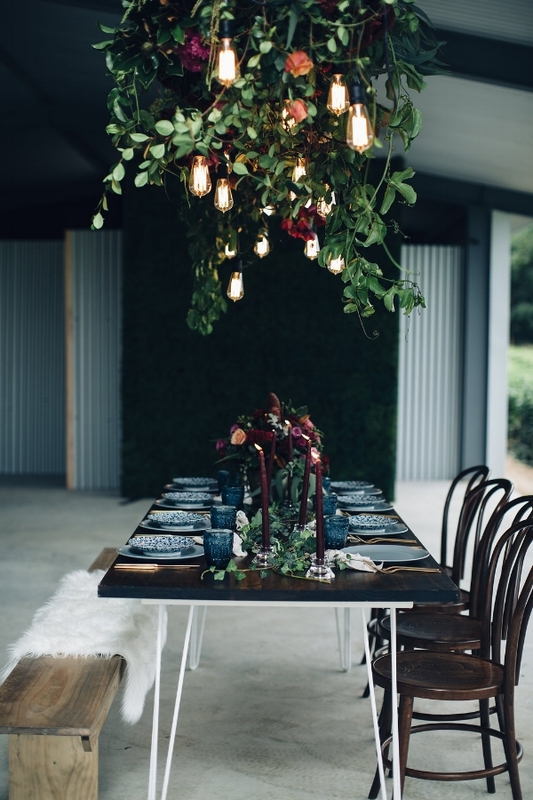 GET THIS LOOK: Gold dining chairs look AMAZING in a clear marquee underneath twinkling fairy lights! Create a statement with gold cocktail tables + stools, and tie it all together with a beautiful statement bar. Remember the mismatched chair trend from a couple of years ago (how could we forget, we used to spend HOURS packing those things!) – well this is being revived next year with savvy couples alternating their chair styles in a cleaner and more streamlined way. For example – bench seats on one side, bentwoods on the other. 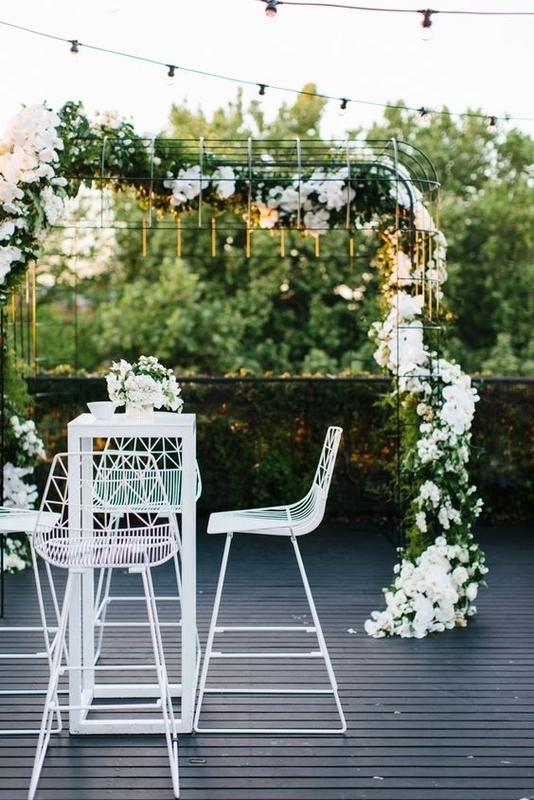 Or play around with colour with white chairs on one side and gold on the other. Yes it's a bold move and can be a tricky one to execute without looking messy, but when done correctly it looks incredible! Just make sure you choose seating options that complement each other, and we recommend a contrast of no more than 2 different chair styles to keep things aesthetically pleasing. I know I just told you that monochrome is in. But black and white isn't for everyone, so if that’s not so much your style then why not embrace one of our other favourite wedding styles for 2017 – fun and tropical with a touch of luxe. The kind of look that makes you want to pack your bags, fly away to an island and sip on a coconut (and if that’s what you have planned for your honeymoon then we are extremely jealous!!). The only rules to follow here are to include lots of bright colours, fun patterns and natural textures. We recommend picking a neutral colour for the base of your styling like white, timber or bamboo, and then go crazy with tropical inspired décor. Remember when we spoke about gold coming back in 2017 – well metallic tones also work perfectly as an accent to take this look to the next level. And finally, don't be afraid to mix it up! Something we have noticed in the trends we are seeing for 2017 is that they can actually work together by pulling key elements from the different styles to create your own unique look. I'm not suggesting you go ahead and plan a black and white tropical wedding with mismatched gold chairs (although that actually sounds like a lot of fun.....) but as an example, gold cutlery can work beautifully in a monochromatic colour scheme, and wire chairs can work well in a tropical setting with pops of colour. So are you inspired yet? Because we can't wait to see our predictions for 2017 wedding styling trends being brought to life next year for some truly beautiful events. For more advice on how to create these looks you can get in touch with our friendly team who can make some helpful recommendations for you.